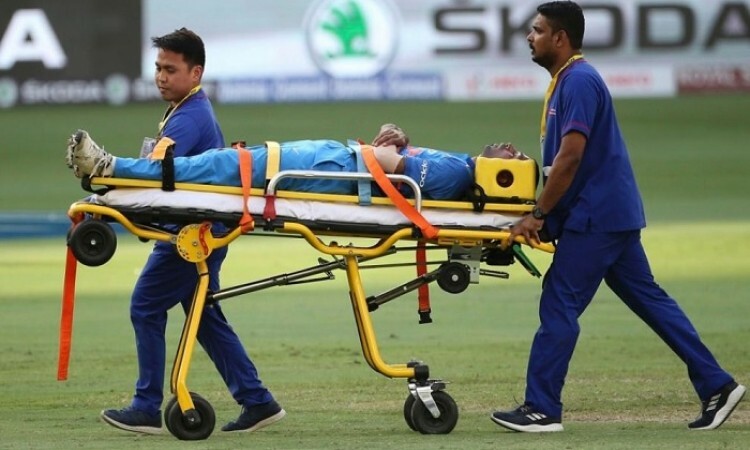 Dubai, Sep 19 (CRICKETNMORE): The BCCI has issued an update on all-rounder Hardik Pandya, who was stretchered off the field following a lower back injury during the match against Pakistan in the ongoing Asia Cup 2018 here on Wednesday. A statement released by the Board of Control for Cricket in India (BCCI) said that Pandya suffered an "acute lower back injury" and his condition is being assessed by the medical team. "Hardik Pandya has an acute lower back injury. He is able to stand at the moment and the medical team is assessing him now. Manish Pandey is on the field as his substitute," the statement read.